According to Dimensional Research, 90% of people say online reviews influence their purchasing decisions. This kind of data can’t be ignored. Making sure your company is positively projected online should be a serious goal for all business owners and managers. Your customers can post reviews to the most popular review websites, including Facebook, Google and Yelp, with FusionTech Media’s Reputation Management System. Potential customers want to see genuine reviews written by past customers. 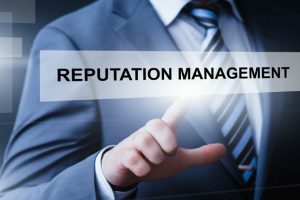 Our Reputation Management System allows you to conveniently and quickly respond to negative feedback and to thank customers that have written positive reviews. Having an honest dialogue between the company and customers shows that your company has nothing to hide and that you care about what your clients have to say. Displaying reviews on your website can even improve your website’s SEO, which will make it easier for your next customer to find your business online. Increasing your star rating and positive reviews can lead to higher revenue and more customers! Get started with FusionTech Media’s Reputation Management System today!